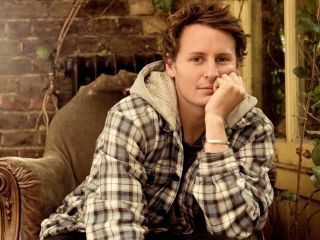 Total Guitar is very excited to be able to present you with this exclusive video by Ben Howard for his excellent new single 'The Wolves', captured at his gig at Lusty Glaze, Cornwall. Ben's brand of folk-inflected singer/songwriter-ing first came to our attention with his EP 'Old Pine' (the title track of which you should also check out if you enjoy the above). His debut album, 'Every Kingdom', is due out on Island Records on 3 October and, as seems to be the custom in musical circles, will be followed up by a lengthy headline tour of the UK. Check out the dates for that below and keep an eye out for an interview with Ben in a forthcoming issue of TG.